Marie-Eve Sylvestre is one of Canada’s leading thinkers on the criminalization and regulation of conflicts related to urban public spaces and those who use them. She is a pioneer in exposing invisible practices of discrimination and injustice against marginalized and poor populations in the criminal justice system, producing ambitious, interdisciplinary research that has made an exceptional impact on the rights of the poor and homeless. She has also developed a distinctive research agenda on alternatives to criminalization, specifically in the context of Indigenous communities, contributing to the work of decolonization. Her work has inspired and supported major reforms in Canadian government policies and judicial practices concerning marginalized populations. 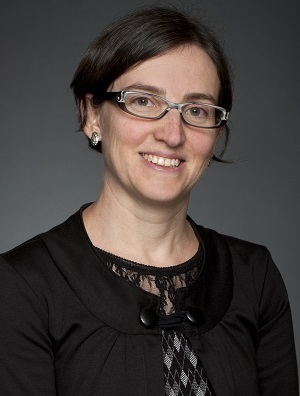 As a sterling example of a scholar who represents the spirit of advancing Canadian intellectual leadership, Professor Sylvestre doesn’t hesitate to challenge legal decisions and interventions that rely on ancient and routinized rules and practices of the courts that contribute to the marginalization of vulnerable people. Not only is her work innovative, but it is also highly relevant in today’s society and will, without a doubt, have a lasting impact. Professor Sylvestre is the Civil Law Section’s second representative in the College. In 2016, Pascale Fournier was inducted as a member. Congratulations to Professor Sylvestre on this exceptional achievement!